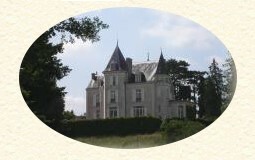 There are numerous activities within 15 km of la Villaine. Visiting open markets, historical sights, beautiful chateaux, and vineyards will keep you busy. For those wishing more active pastime,cycling, walking, canoeing, tennis, golf, horse riding and fishing are readily available. Historical sites in and around the village of Esvres. This quaint little town houses the St-Médard church 470 A.D., the 10th Century Priory de Vontes, the Girault bridge, 5 private Chateaus, 3 private Manors and 5 Watermills. Fishing: Fishing is a national sport for the French. La Villaine has its own private fishing grounds on one side of the Indre and both sides of the Echandon river. Walking: One of the 40 trails of the F.F.R.P. starts right at the doorsteps of la Villaine. This 10 km trail leads you through the Echandon valley to the Girault Bridge. Jeanne d’Arc crossed this bridge with her seven knights on her way to Chinon in 1429. The GR 46 also passes through the area. Canoeing: village of Veigné has an active canoe club. (www.veigne.canoe.free.fr) This club organises individual canoe daytrips along the river Indre from Cormery to Veigné‚ passing by several old watermills as well as the property of la Villaine. Cycling: Biking enthousiasts will be delighted by the unlimited country routes which lead past fine houses and watermills along the rivers, as well as into the wine country. Golf: Within half an hour’s drive you will find three different golf courses. 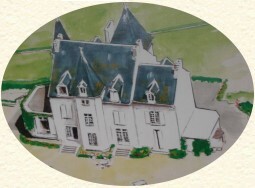 Château de la Touche, 16 km away, is considered by most golfers to be the nicest in the Touraine region. Horse riding: For horse enthusiasts, there are riding facilities within a five minutes drive from the Chateau. 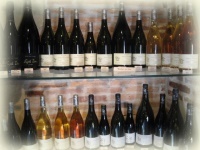 Wine tasting: The Esvres region produces Noble Joué. Further on are the vineyards of Mont Louis. Crossing the Loire you find the famous vineyards of Vouvray. Within 45 minutes drive you can discover and taste the amazing red wines of Touraine: amongst them Chinon, Bourgueil and Saumur. 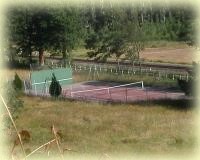 Tennis: We offer our guests the use of a private tennis court. Open markets: It is also enjoyable to visit the charming local open markets, which are held in different villages on different days. Veigné‚ 8h00-12h30, Amboise 8h30-13h00, Bléré 13h00-19h00.